People is one of the best-known media properties in the world and People.com is the go-to destination for millions of readers interested in lifestyle content, human interest stories and celebrity news. We're excited to announce that People.com is now fully hosted on WordPress.com VIP, and the Alley team is proud to have led the project. With the launch, People.com is now one of the largest sites on the WordPress.com VIP platform. At the beginning of 2016, People.com ran three distinct content management systems with content spanning nearly 250,000 published articles over 40 years. People's parent company, Time Inc., approached Alley to help migrate People's content onto one platform and streamline the CMS experience for its editorial staff. Time Inc. and Alley developed a comprehensive plan using Scrum and Agile methodology to move the site's verticals iteratively, instead of all at once. This reduced overall risk and got the site onto WordPress as quickly as possible. The Home and Food verticals of People.com launched on WordPress.com in June, and were joined by the Style and Pets verticals in August. In early September, Alley deployed PEN, the People/Entertainment Weekly Network, on WordPress to coincide with the public launch of this innovative new over-the-top platform. The remainder of People.com launched in October, fully completing the migration. Working with the Time Inc. developers and product designers, the Alley team launched a dramatic user experience upgrade, resulting in readers spending significantly more time on the site. By consolidating into one CMS, we simplified the workflow for editors, reporters, and photographers. In addition, we implemented our open-source Ad Layers plugin to facilitate ad integration on the site. People's advertising team can now customize the advertising layout on any page within WordPress and without needing developer involvement. 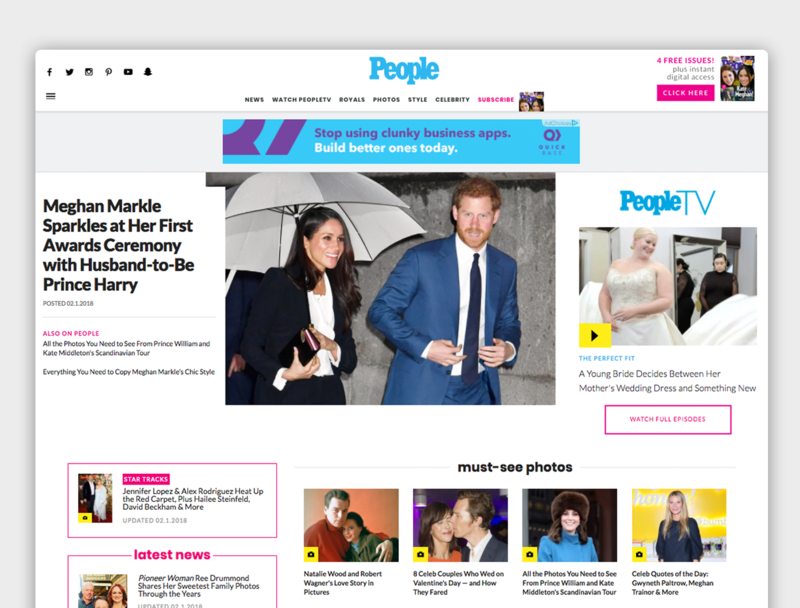 Following the People.com launch, Alley migrated Time Inc's People en Español and Entertainment Weekly brands to the WordPress.com platform. The online edition of the New York Post faced multiple challenges in today’s demanding digital news environment. Alley relaunched the site and led one of the largest content migrations in the history of WordPress.